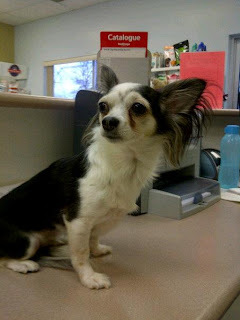 diary of a crazy person: Foster "Child"
Today I kinda took in a Chihuahua who needs a home. She is 5 years old and very very sweet. She follows me around the house already. She needs a home with no small children. Awwwwwwwww, she's a cutie! I hope you can find a home for her.